Your participation will make educational programs possible that benefit children attending Title I programs (i.e., schools serving a high percentage of children from low-income families). The programs you will help make possible include the Hitachi Japanese Kite Workshops, and Japan Bowl® of California. 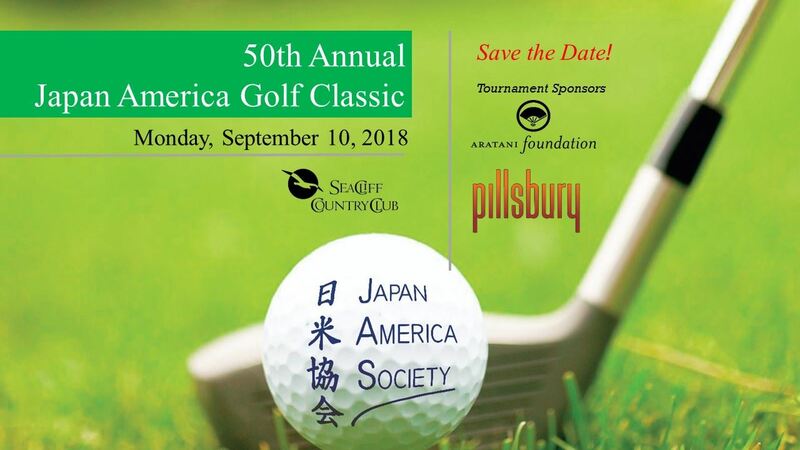 Sponsors are recognized in all print/electronic media, at the Awards Banquet, in the Golf Classic Program and on the Japan America Society website. Sponsorship and player fee includes BBQ Lunch, Networking Reception and Awards Banquet. - Great way to promote Beer, Sake, Packaged foods, Golf equipment, sports products, and more! Opportunities to win a prize in each of the contests! Pre-purchased JAS Packages will be presented to you on the day of the tournament. Increase your company's visibility and marketing outreach! Participate by donating prizes for the silent auction or raffle, or provide your products to be included with gift favors distributed to every attendee. Please consider donating gift-certificates, entertainment, sports or travel tickets, gift baskets, memorabilia, wine, sake or spirits for our silent auction, raffle and games. For more information, please contact Kay Amano at amano@jas-socal.org or 310-965-9050 ext. 104.